Origin and destination: From downtown Glendale to East Pasadena. Distance: Long commute – Steven rides 11 miles each way–an hour-long trip. Type of commute: A combination of scenic, traffic-congested and bike paths. The commuter: Converted commuter – for new riders, seasoned commuters – for old hands, and zealous commuters – for those who are encouraging others to try pedaling to school or work. Tess Nancarrow, thanks for nominating Steven for the Gold Pedal Awards, your participation is important! Tess told us that Steven has been commuting by bicycle four times a week for three years now. 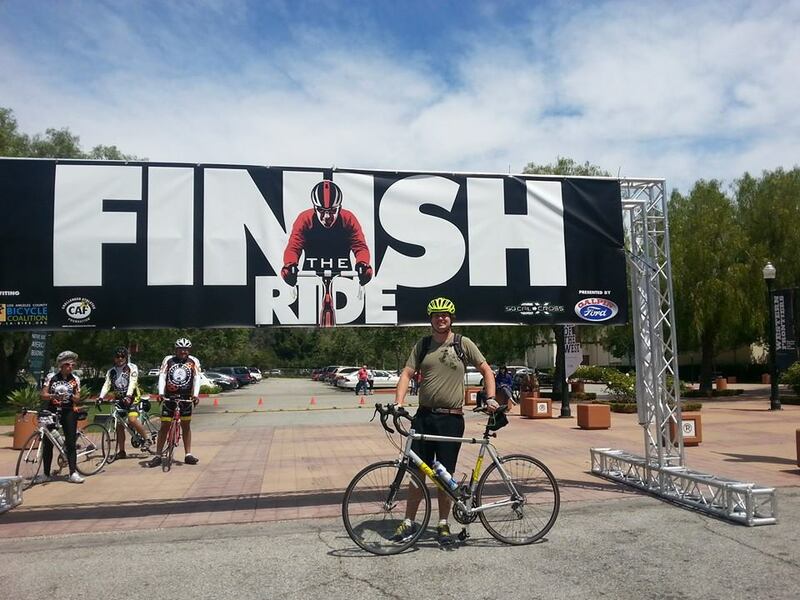 He now rides almost 100 miles per week and celebrated his third Bike to Work Day this year. Not too long ago, while he was still living in Eagle Rock, he used to combine cycling and transit (Metro Gold Line) to commute to work. However, since moving to Glendale he commutes to Pasadena by bike almost every day. Once Steven’s daughter is a little older, he plans to be permanently car free. Originally, Steven started to commute by bike to lose weight and save money on gas and the gym; now he does it purely for the love of bike commuting. He is always encouraging others to use active transportation when commuting to work or going to the store. He has convinced several people at his work to start walking, biking, or taking transit to work. He continuously shows how easy and fast it is to get around Los Angeles without a car. 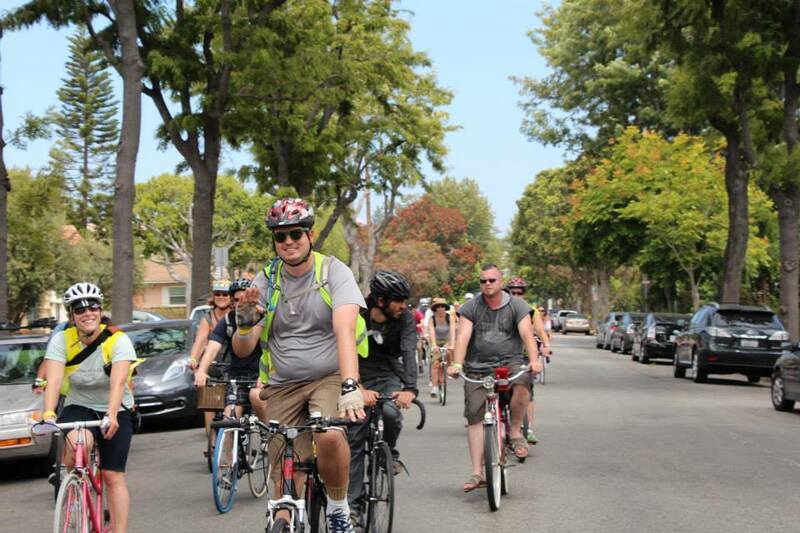 Steven is an active volunteer for C.I.C.L.E as a ride leader and for Walk Bike Glendale as a steering committee member. He wants more people in his communities to support more bike infrastructure, active transportation, and healthier lifestyles. Steven is currently trying to establish a bike train from Glendale to Pasadena to help support local commuters. With help from our generous Bike Week LA sponsors, Steven will receive a Bike Week LA T-shirt, a bag with a Nathan safety vest, patch kits, ankle straps, bike maps, Metro Bike Guides, and “Every Lane is a Bike Lane” bumper stickers.